Issue 20 Cover Contest - Who Will WIN the Cover & Possibly a Scholarship?? This issue is scheduled for release on June 1, 2019. The overall winner will be on the cover of Issue 20 and win a scholarship! ​* Scholarship amount is based on 10% of proceeds raised from this cover contest. Teen must be scholarship eligible for a chance to win the scholarship. * Teens do not have to participate in our fundraiser to be published and have already been notified how amazing we think they are. If you see them on this page - you'll see them in Issue 17. Voting in our fundraiser gives them more space in the magazine, a chance for the cover, scholarships, leadership programs, and so much more throughout the year. Thank you for helping us help them share their awesomeness! *Voting progress is not instant, but gets updated every morning. All Nominees in this contest with 0-4 votes are listed below. Names in bold have 1-4 votes. Don't see the name you're looking for? Scroll down. They're already on the leader board! ​Click on "VOTE" to vote for your favorite candidate! 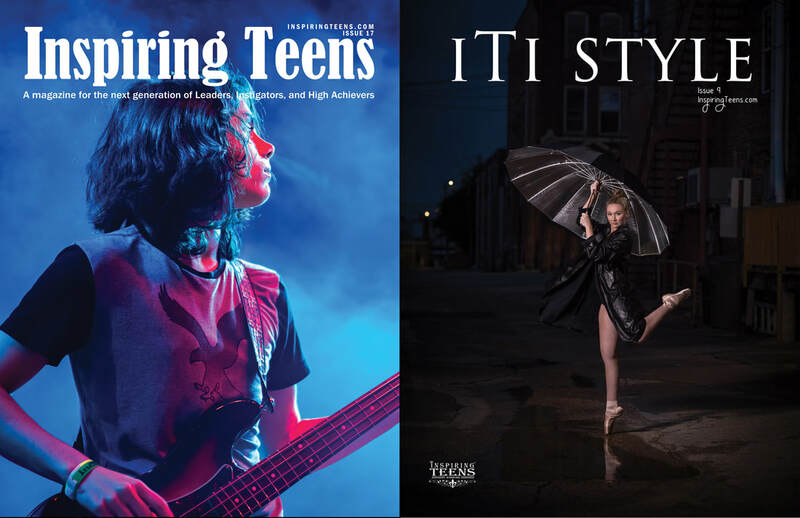 ​Each vote is $5.00 to keep our magazine ad free again this year and provide opportunities for our inspiring teens everywhere in 2019! Voting will begin on 4/15 at 5 am EST and end on April 30 at 11:59 pm EST. Congratulations to the teens who made it to round two from Levels 2-5!! Each vote is $5.00 to help us with our Inspiring Teens Magazine fundraising efforts. Vote as many times as you'd like! If she wins the cover and is scholarship eligible, 10% of the proceeds will go back to her in a scholarship check! Each vote is $5.00 to help us with our Inspiring Teens Magazine fundraising efforts. Vote as many times as you'd like! If he wins the cover and is scholarship eligible, 10% of the proceeds will go back to him in a scholarship check!